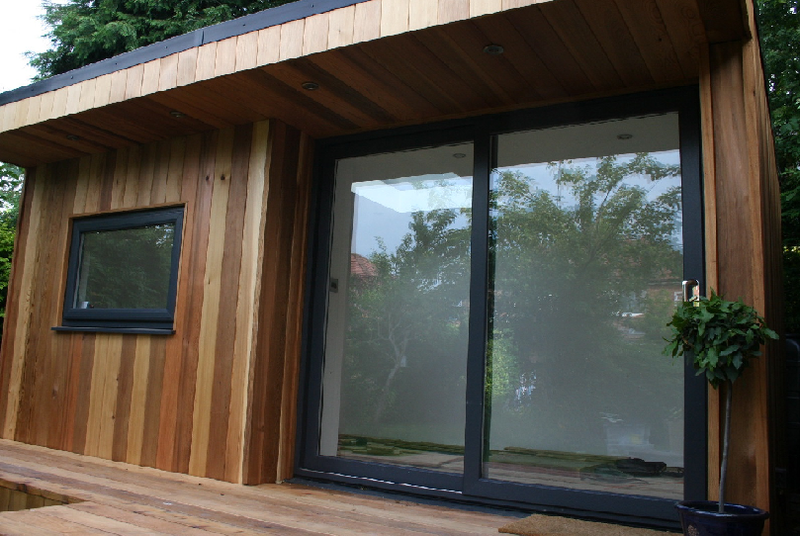 Adding a deck area to your garden room provides an additional new space to enjoy during the summer months. We have a selection of decking materials available to match your cladding choice and budget. All flat profile decking is inclusive of an anti-slip treatment and all decking packages are inclusive of the additional matching cladding required to complete the sides of your decking area. Available in knotty and clear grades with an anti-slip treatment. Matches perfectly to cedar clad garden rooms and with a very long life expectancy due to the natural properties of cedar. Available as a flat profile with an anti-slip treatment, or with a grooved profile to provide traction in wet conditions. Matches perfectly to larch clad garden rooms and with a very long life expectancy due to the natural properties of larch. Available as a lower cost decking solution in a grooved profile for traction in the wet or with the addition of anti-slip inserts. All treated pine decking has a moderate life expectancy. Available in a none slip micro-grooved or flat finish and also in a choice of 5 colours. Matches well to most cladding types, in particular, composite cladding options. Due to the nature of this product, it has a very long life expectancy.